The last few years have seen a drastic swing in the cable news game. Fox News has been blowing the competition out of the water for over a decade, with all other networks fighting for the scraps. But since Trump’s emergence, a new era of fake news journalism and sensationalism has breathed new life into left-wing news media. The biggest winner in the Trump era is undoubtedly MSNBC, which looks more like an insane asylum than a news outfit. 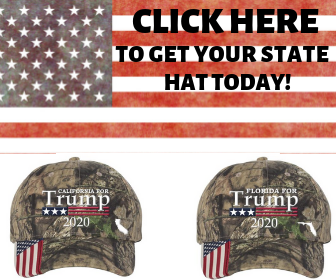 The network’s always been radically left-wing, but they’ve taken it even further, positioning themselves as the “resistance” to the Trump administration. Of the network’s list of “stars,” one has been able to top the cable news charts recently, usurping the longstanding victor Fox News on occasion. 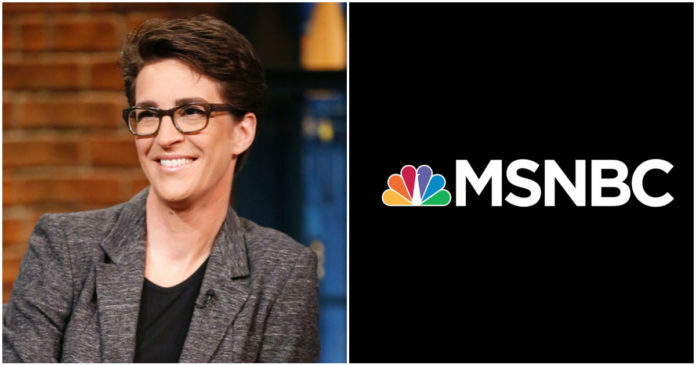 As reported at Forbes, MSNBC’s The Rachel Maddow Show was the most-watched show in all of cable TV Thursday, bringing in an audience of nearly 3.2 million. Maddow’s ratings have been doing wonderfully since Trump became president, and Thursday’s numbers were high enough to place her crazed show in the top 20 of all cable programs at #12. Unsurprisingly, the smug leftist has been beating the Russian collusion dead horse for months, pushing the narrative that Putin and Trump schemed the election away from Madame Hillary. Thanks to all the emotionally driven propaganda and Trump bashing, MSNBC saw record ratings in 2017, eclipsing numbers they saw during peak anti-Bush fervor. And Thursday’s numbers gave the network a decisive win over Fox News and CNN in the coveted 25-54 demographic, although Fox still took the cake when it came to total viewers. Maddow’s viewership surge knocked Fox News’ Hannity from his 5-month reign on top, beating him 3.146 million to 2.976 million. However, Fox still took second, third, and fourth in the ratings battle with Tucker Carlson bringing in 2.599 million and Laura Ingraham 2.333 million. This has been a recurring theme over the last 2 years, Maddow occasionally winning the news battle. It was unthinkable that she could pull such numbers a few years ago, but it goes to show you how powerful the anti-Trump narratives are. Nevertheless, Fox still is the top dog, but it’s unsettling to think that the lunatic fringe network MSNBC is polluting so many minds.